A unique desktop reference and revision guide. 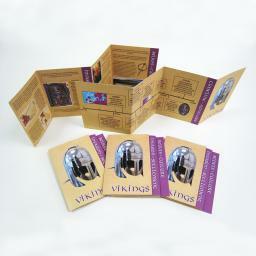 Thisconvenient reference guide folds up neatly when not in use and is laminated foradded durability. Each ‘Zig-Zag’ is packed with key information, factsand images on one side and a desktop timeline of the period on the other. Sold as a set of 5, this is an ideal resource that can be given to pupils at thebeginning of a topic and utilised throughout.